The Riu Resort Hotels in Punta Cana is a hotel complex with magnificent structures of beautiful resorts on the Eastern Dominican Republic. Located all directly on the beautiful white sandy beach and crystal clear waters called Arena Gorda in Punta Cana. 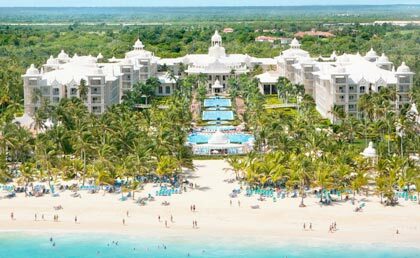 The Hotel Riu Palace Macao is 24h All Inclusive, is an incredible resort located in Punta Cana, Dominican Republic enjoying a beachfront location on Arena Gorda: a paradise of palm trees and turquoise water for perfect holidays in this Caribbean destination. The cuisine of the Dominican Republic offers a wide variety of dishes, with flavours and colours as dominant features on its plates. Dominican cuisine has received influences from African and Spanish cooking, and includes a wide variety of fruits and vegetables that enrich dish plate with a unique flavour. 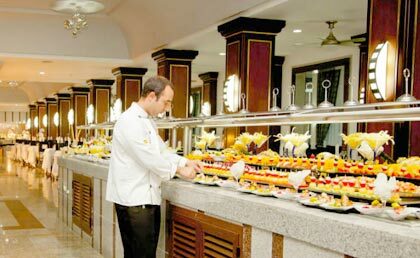 In the buffet restaurant and themed restaurants you can sample the best recipes prepared by the chefs to satisfy any palate. Riu Palace Macao count on 364 guest rooms, all guest rooms have turndown service, bathroom with shower, double-sink, athrobe, Hairdryer, 110 V, Telephone, Free WiFi, Central air conditioning, Ceiling fan, Minibar, Liquor dispenser, Coffee maker, Satellite TV (flat screen), In-room safe, Iron and ironing board, Balcony or terrace. 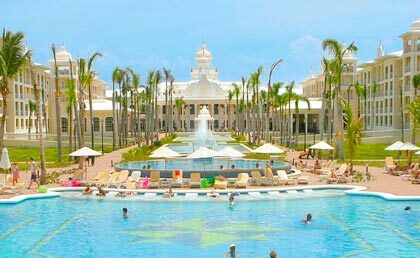 "KabukiThe Hotel Riu Palace Macao is 24h All Inclusive, is an incredible resort located in Punta Cana, Dominican Republic enjoying a beachfront location on Arena Gorda: a paradise of palm trees and turquoise water for perfect holidays in this Caribbean destination. Riu Palace Punta Cana is located on Arena Gorda beach, the resort offers you all of the amenities you need to ensure an unforgettable vacances. This all-inclusive hotel in Punta Cana has free Wi-Fi, 24 room service and a wide array of culinary options so that you can enjoy the best gastronomy during your vacation at Riu Hotels & Resorts. 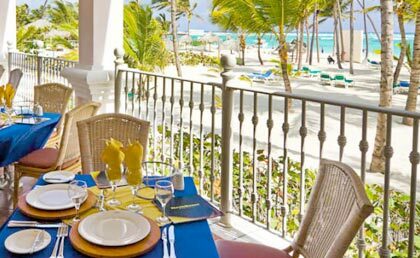 This all-inclusive hotel in Punta Cana has several restaurants so that you can have an authentic gastronomical experience. You can savor authentic American buffet breakfasts, the best Italian, Japanese and fusion cooking or enjoy a wonderful dinner at the steakhouse located in the pool area. Additionally, the 5 bars at the Hotel Riu Palace Punta Cana have all types of beverages, snacks and appetizers available any time of the day. The hotel has 612 guest rooms, all guest rooms have turndown service, bathroom with hydromassage bathtub and double wash basin, Hairdryer, 110 V, Telephone, Central air conditioning, Ceiling fan, Minibar, Liquor dispenser, Coffee maker, Satellite TV (flat screen), In-room safe, Iron and ironing board, Balcony or terrace, Inter-connecting rooms available. 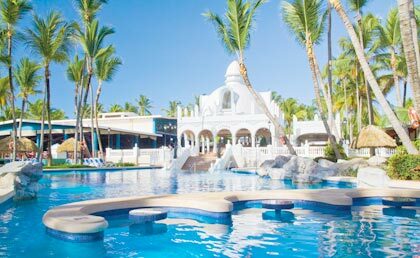 The Riu Palace Bavaro Hotel, this 24-hour all-inclusive hotel offers a wide variety of exceptional quality services that make it one of the leading all-inclusive hotels in Punta Cana and among the best hotels in the Dominican Republic. It's the perfect hotel for a family holiday, romantic getaway, or trip with friends with RIU Hotels & Resorts. Minibar and regularly restocked liquor dispense. 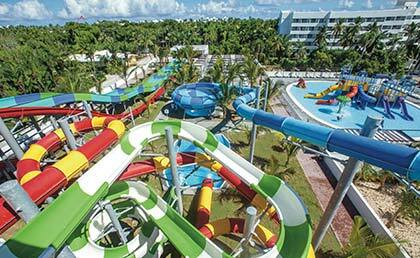 The Hotel Riu Bambu has All-Inclusive 24 hour a day service so that you can enjoy the best services. 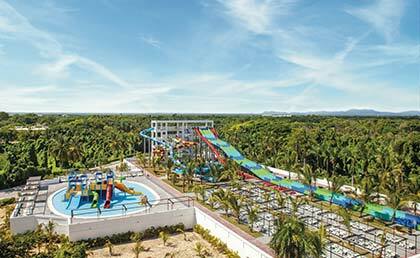 This 5-star hotel in Punta Cana has free Wi-Fi in the hotel's common areas, pools for children and adults and an extensive entertainment program so that your stay with RIU Hotels & Resorts is unforgettable. The culinary options at the all-inclusive hotel in Punta Cana, Dominican Republic stand out for their quality and variety. You can have authentic culinary experiences at the Italian, Asian and Mexican restaurants and savor the best meat at the ClubHotel Riu Bambu's steakhouse. In addition, at the hotel's 5 bars, which include a pool bar, a swim-up bar and a lounge bar, you can enjoy the best beverages and snacks during your stay. The Hotel Riu Naiboa is 24h All Inclusive resort, is located in Punta Cana, Dominican Republic, surrounded by vast and abundant gardens: the perfect 4 star hotel for spending peaceful holidays and enjoying the vast beach with turquoise water. Its environment invites you to relax as it is surrounded by tropical green spaces, a warm climate and is far from the hustle and bustle of the city, making it ideal for relaxing holidays. You'll find a swimming pool and a solarium-terrace. You will also find a gym, steam bath and a wellness centre Renova Spa with a range of different treatments and massages (payment services) in the Riu Palace Bavaro .